As we wrap up our 40th anniversary year, we can't help but be grateful for all the inspiring moments this year has brought. From new products and services to our new location in River North, not to mention a celebration of Chicago's framing master, 2018 will go down as one of our most memorable yet. And of course there have been plenty of #instaworthy moments along the way. That’s why we’re taking a moment (or nine) to reflect back on our #TopNine2018 moments, according to Instagram. Above: Frame What You Love. Love What You Frame. That statement is at the core of what we do so of course we had to celebrate it with a funky neon sign at #afsrivernorth. Below: Fun and festive balloons kicked off our first day open at our newest showroom in River North, in the heart of the design district! Frame. Mat. Hang. Enjoy. We’re thrilled by the amazing response we received for our brand new Kinda Custom gallery framing service launched this summer. Above: Everyone loves a giveaway and we loved giving away one of our favorite local artists Tracey Capone’s work after she took us through her perfect day in Chicago. Below: There was no shortage of #gallerywall inspiration on our Insta this year. But the favorites were these stunning images from @chairishco, @thisoldhouse and @witanddelight. Above: And last but not least, some of our favorite customer projects. 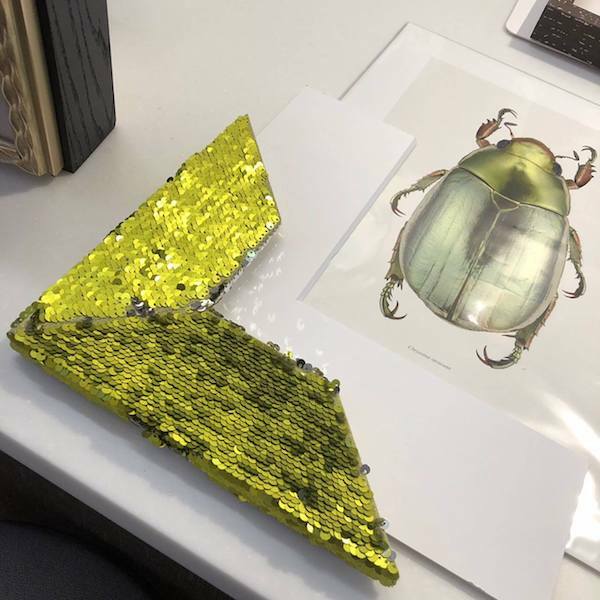 The sequins paired with the bug art on this piece from @pamelamckuen is too good. Below: A pride-worthy frame just in time for the Chicago Pride Parade this summer. What an amazing year it’s been. But, as always, the best part has been sharing in all your frame-worthy moments. We're grateful to have been a part of it. Here's to the next 40 years!